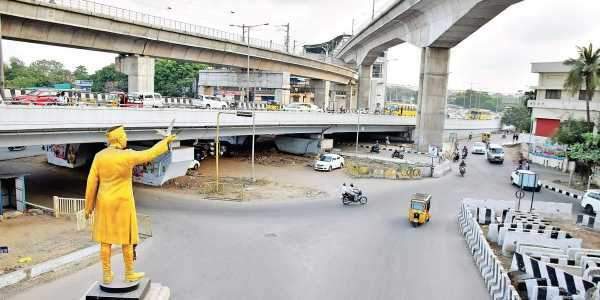 CHENNAI: Giving a boost to the road infrastructure in Chennai, the Tamil Nadu government announced the construction of new bridges at certain places in order to ease congestion, besides mitigating the flood woes. Minister for Municipal Administration, Rural Development and Special Programme Implementation SP Velumani told the Assembly on Monday three new bridges would come up at Amullaivayal, Vadaperumbakkam and Burma Nagar across the surplus canal of Puzhal lake. These bridges are to be constructed at a cost of `44.25 crore. The minister said the bridge would come up between the Central and Basin Bridge stations and 30 crore is earmarked. In Otteri, a new bridge is proposed to be constructed to replace the existing one located across the Otteri canal to connect the Cooks Road and Dr Ambedkar Road. The government will spend `67.76 crore for the project. With a view to addressing flood woes, a project worth 30 crore is announced to construct a retaining wall and strengthen stormwater structure between Medavakkam Road and Otteri bridge on Konnur high road. The project is envisaged to avert flooding of Ehangipuram canal.